When it comes to the basics of being a student ministry leader, it can be easy to feel overwhelmed. Additionally, you may find yourself wondering just how people can live out this call to ministry. It can be tough on your family and it can take a toll on you emotionally and spiritually. Not to mention the physical exhaustion that comes with just about any amount of hard work like ministry. The reality is that it is tough work. It is hard work that does require you to balance life, and family, and everything else for health and success. But just because it is hard work doesn’t mean it is rocket science. 1. Find the right strategy. When it comes to preaching and teaching the approaches are as numerous as there are preachers/teachers. The reality is that you have to find what works for you. A simple search of the Internet can provide ample information on the various approaches. Additionally, there are volumes and volumes of books on the subject (I really like Gospel Centered Teaching by Trevin Wax). But the real point here is that you need an approach that fits you. 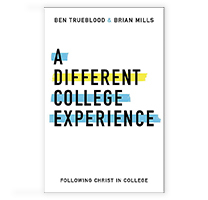 Whether you appreciate the teaching style of Matt Chandler or Andy Stanley, you must decide what works for you in the context of your giftedness. If you try to emulate other great speakers, you may find the results lacking. I had a friend who really liked Louie Giglio’s teaching style and tried his best to imitate him. The results were shaky at best because my friend was not Louie. The techniques Louie used simply did not translate to my friend who would have been a much better communicator if he had played to his strengths and giftedness instead. A good way to determine your best approach is to pay attention to the way you communicate everyday. Do you often tell stories that make people laugh? Do you find yourself informing others of unusual facts? Do you simply get to the point in your conversations or are you accused of being long-winded? You should teach in a way that is reflective of your normal conversation. Think about it, people who don’t normally joke around usually fall flat when they tell jokes in their preaching and teaching. That, or they get a moderate laugh at best. Additionally, when you deviate too far away from your normal style of communication it comes off as fake to the audience. Of course you should always be looking to get better and grow as a speaker, but leverage your giftedness rather than trying to emulate your heroes too much. 2. Determine your scope and sequence. 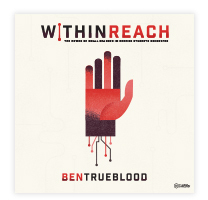 Once you have a solid grasp on your technique, you need to determine what you’ll teach and how you will deliver that content. I’m not just talking about in a single message or lesson; this applies to your ministry approach as a whole. Think in terms of series, or even better, think about your discipleship process. 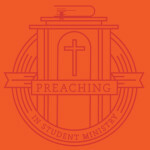 What do you want to see happen in the lives of students before they graduate and step out of your ministry? Think beyond a book study or camp theme. 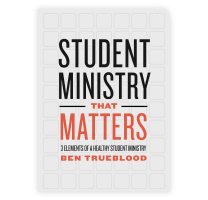 Focus on the six or seven years that students will be in youth ministry. Your teaching should be anchored in a process bigger than the latest fad or most interesting book. While you can always find ways to add new and interesting things to your plan, having a pathway will help you maximize your teaching time. A scope and sequence will also help your pastor, parents, leaders, and students see where you are headed and what you hope to achieve as you disciple students through these years. 3. Adapt as God moves and people grow. 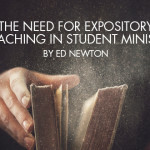 Having a teaching strategy and presenting it across a solid scope and sequence will provide the structure you need to build a great preaching and teaching ministry. But, as with all things, you must adapt to the move of God as He works through you. As God works in you, you will mature and grow. Your students will also change and grow as God works in their lives. Don’t be so rigid with your plans that you forget to yield to the Holy Spirit in all that you do. Likewise, your students will change. Some may leave; others arrive and bring a new vibe. 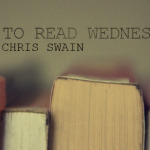 Knowing the students you lead is crucial as you determine how best to minister to them. If your scope and sequence doesn’t feel like it is addressing discipleship the way you need to, change it. I have a friend who had a lot of new believers in his ministry. He changed his teaching strategy to be more expository in order to address their needs. The key here is to know your students and minister to them where they are while leading them to where they need to go. Preaching and teaching to students isn’t easy, but it isn’t rocket science. Find a strategy that works for you, develop a scope and sequence to follow, and be ready to adapt as God leads and your students change. With a proper perspective and intentional approach, you can serve your church well.